Currently viewing the tag: "licensing"
Despite numerous promises to reduce the amount of red tape property professionals had to deal with, there are now even more legal requirements to let and manage rental properties. The coalition Government started an initiative called the Red Tape Challenge, aiming to reduce the time and associated financial costs incurred by businesses and consumers in complying with unnecessary legislation. The Residential Landlords Association (RLA) say there are currently over 100 national regulations governing the letting of a rental property in the private rental sector. The Association of Residential Letting Agents (ARLA) has issued advice on the UK student lettings market to first time landlords. UK Landlords should look to the student lettings market in order to get their empty properties rented out, according to ARLA. With over 600,000 students starting university courses in major UK cities this September, the student lettings market is a thriving business sector. 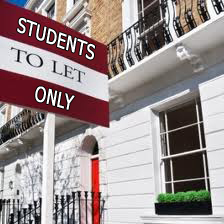 UK landlords who are used to renting to working tenants and securing the rent with Rent Guarantee insurance may be wary of entering the student rental market but ARLA insist that the student rental market is a thriving business concern. ARLA has issued advice on the best steps to take when renting to students that is invaluable information, especially for new or first time landlords. Guidance for landlords includes ensuring students understand their obligations as tenants, (even when they are likely to be away from the property during long university holidays), joint or several liability clauses, in case students leave the property unexpectedly and conducting a comprehensive inventory, as students don’t always have the best reputation for looking after properties. Specialist UK Landlord and Letting Agent service providers, Legal 4 Landlords, also urge new or inexperienced landlords to seek advice from a reputable property managing agent, with a proven track record in successful HMO and student lets, before entering the student lettings market and advise landlords to enquire with the relevant local authorities about licensing and compliance with any local legal requirements. 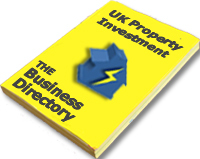 The Property Ombudsman’s 2011 report, released last week, has shown a large increase in the number of complaints made against UK letting agents managing residential Buy To Let (BTL) properties in the Private Rented Sector, (PRS). . The Association of Residential Letting Agents, (ARLA) have backed the UK Property Ombudsman, Christopher Hamer, in his call for proper regulation of the UK letting agency industry. Mr Hamer’s report noted the need for a dedicated council that promotes the importance of using letting agents that are recognised members of either ARLA or the Property Ombudsman Scheme. However, ARLA want legislation be put in place which demands the registration and licensing of all UK letting agents. 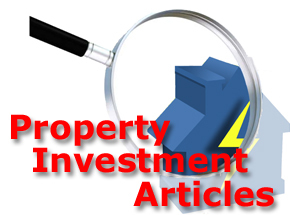 Mr Potter then went on to recommend that tenants looking to enter into agreements with letting agents should, for their own protection, ensure they are members of the Property Ombudsman Scheme at the very least.